The site was removed from service Wednesday morning, allowing technicians to replace original breakers and cables with new, modern fuses and cables that are expected to extend the useful life of the site for another decade. 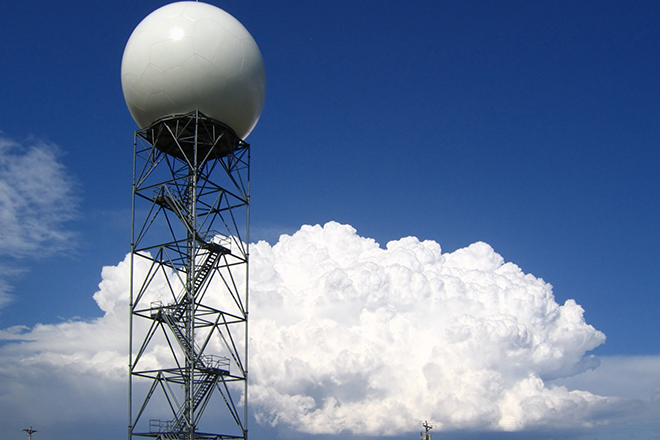 Similar upgrades are taking place across the NWS network of radar sites. Service was expected to resume Sunday by 5:00 p.m., however additional parts ordered during the upgrade are not expected to arrive until Monday. The site will remain offline until further notice. As upgrades continue, neighboring radar sites in Denver; Grand Junction; Goodland and Dodge City, Kansas; Amarillo, Texas; and Albuquerque, New Mexico, will help fill the gap in coverage. Last year, the Pueblo radar site was taken offline for repairs to a 22-year-old failed bull gear, a primary component that rotates the radar antenna. Repairs were expected to take 10 days but were completed more quickly than predicted.